We are honored to have you as our guest! 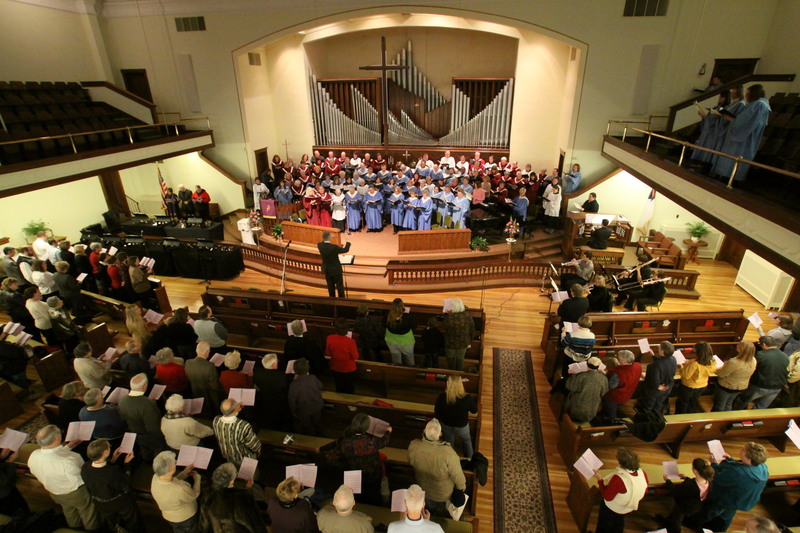 Welcome to Grace United Methodist Church! I, and all the members and friends of Grace UMC, want to make sure that you experience the grace of God! Whether you encounter Grace UMC through our website, worship, small groups, community meals, or shared ministry, our desire is to be with you in ways that deepen your awareness of God’s deep love for you. The Spirit of God has blessed this congregation for many generations, and God’s Spirit continues to move in and among the people of Grace as we seek to serve God today. Our weekly worship services provide a safe space for seekers and believers to gather in music, prayer, learning, praise, and communion. Below is a brief outline of our Sundays and Wednesdays. We hope you will peruse the site and discover ways that Grace UMC can strengthen your connection to God. We are committed to embody our name, Grace, in tangible ways that demonstrate God’s infinite care for all persons. Sunday School – Available for all ages at 9:00 a.m. Click on the link to explore further. Worship is at 10:30a.m. Come a little early for coffee starting at 10:00 am. Our worship service is traditional with excellent music and inspirational preaching. Child Care – We welcome children of all ages to be with their parents and guardians during worship; rocking chairs are available at the back of the sanctuary. If you prefer, Safe Sanctuary certified childcare is provided in the nursery during worship. Casual Dress – You will see everything from shorts or jeans to “church clothes”. Wear whatever is comfortable for you and you will be perfectly dressed. Service Animals – Always welcome. Community Dinner – 5:00 pm-6:00 pm Any and all are welcome! There are several different parking lots. You will find parking lots directly South, East, and North of the Church. You are welcome to come in any door. However, there will be greeters at the East entrance at the blue covered awning, just off Cherry Street. The greeters can direct you to the sanctuary and/or fellowship hall. We are located at 600 S Jefferson at the corner of Jefferson and Cherry.